"ABA provides a structure for learning that Liam responds to." Applied behavior analysis is considered the gold standard for children with an autism spectrum disorder, but what is it? It’s a rainy Sunday and 8-year-old Liam Collins is playing “Super Mario Bros. U Deluxe” on his gaming console. Like most children, Liam is obsessed with video games. He also loves food — so much so that he sometimes hums when he’s tasting something especially delicious. He’s very smart and is above grade level in reading and at grade level in math. Liam is a bright boy, but he has an autism spectrum disorder — an umbrella term that could include autism, Asperger syndrome, and pervasive developmental disorders. 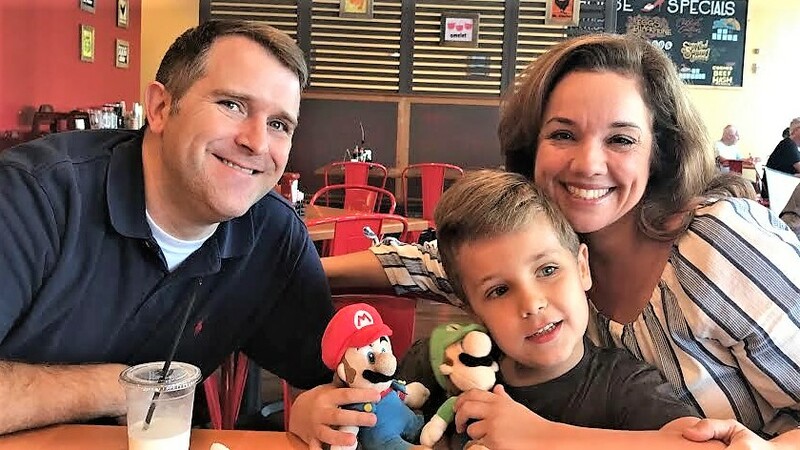 His parents, Amy and Sherwood Collins, founders of Tres Doux Foundation and Beignet Fest, which raises awareness and funds for autism programs in New Orleans, knew at about 18 months that something wasn’t quite right with their son. Liam wouldn’t speak to anyone and he didn’t answer to his name. By age 3, they had a diagnosis. According to the Centers for Disease Control and Prevention, 1 in 59 children is diagnosed with an autism spectrum disorder. It is the most common disability cited for special education students in Louisiana public schools. Liam receives occupational therapy and speech therapy. He’s also using applied behavior analysis, which is considered the gold standard for treating an autism spectrum disorder. ABA is a science devoted to improving socially significant behavior. For children with autism, these behaviors include such things as socialization, communication, and daily living skills such as dressing. For these children, tantrums sometimes serve as a means to communicate with parents and caregivers. ABA-based interventions work to replace these behaviors with more functional and effective means of communication. At his clinic, clients range from 18 months to 12 years of age and beyond. This allows therapy to begin addressing behaviors during early development and helps ensure their clients have both a running start and the ongoing reinforcement needed to reach their optimum level in communication, developmental, social, and educational skills. Many, if not most, children who receive intensive ABA training learn to behave more functionally, at least some of the time, and some even improve to such a degree that ABA is no longer needed, but this happens only after years of intensive therapy. The Collins family use a combination of therapies, including ABA, to treat 8-year-old Liam’s autism spectrum disorder. When Amy asks her son what he’s working on now with his therapists, he pauses and looks off in the distance as though he hadn’t heard the question. It’s difficult for Liam to have conversations as he doesn’t always get out what he wants to say. Gulfsouth’s staff assists in determining the best therapeutic course for each client, which could include a combination of ABA and other therapies. Esteve says that a collaborative treatment model with teachers, parents, caregivers, and therapists working together is critical to success. When finding the right ABA therapist or clinic, Esteve recommends going about the search the same way you would look for a pediatrician or a dentist. For further reading and more resources on special needs, check out Dr. Pat Blackwell's Learning Years columns on the Challenges Facing Siblings of Special Needs Kids and Understanding Autism, and one writer's experience on Choosing a Sitter When your Child has Autism Spectrum Disorder.